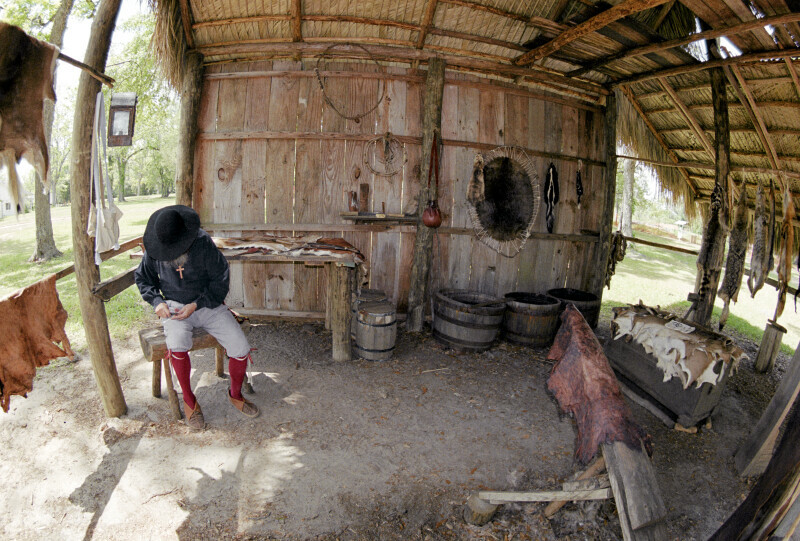 A fish eye view of the interior of the reconstructed tanner's shop. A reenactor can be seen demonstrating the use of a tool in the shade of the overhang. Various pelts hang about the shop.